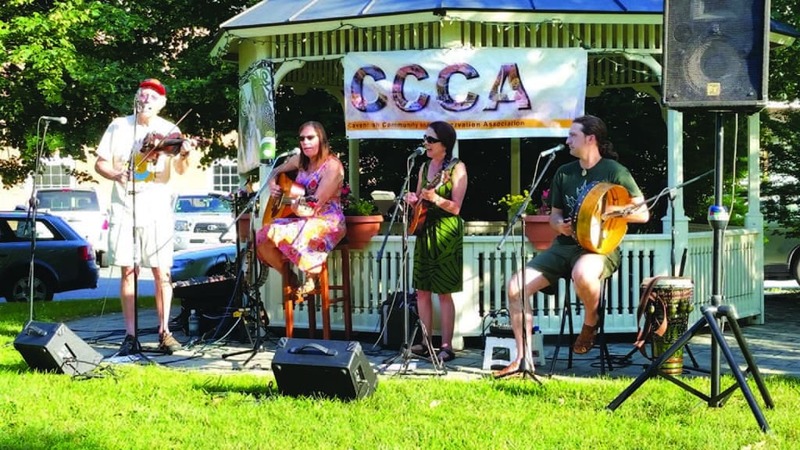 Wednesday, July 5, 6 p.m.—PROCTORSVILE—The Cavendish Community and Conservation Association (CCCA) and the Town of Cavendish invite everyone to spend an evening having fun on the Proctorsville Green Wednesday, July 5, starting at 6 p.m. when the annual summer music series kicks off with the sounds of Gypsy Reel. The Celt band that rocks, Gypsy Reel has for over 20 years played high energy, stirring music rooted in the Celtic tradition but garnered from the whole world. Their music is an exciting synthesis of world rhythms and influences from three continents. Based in Ludlow, the band continuously captivates local audiences. This will be the first of several concerts that are held on consecutive Wednesday nights in July and August. For a listing of all 2017 concerts, visit cavendishccca.org. As always, the concerts are free and open to the public. In case of inclement weather, check the Cavendish Facebook page. For more information, call 802-226-7736.